The Illinois Departments of Children and Family Services in partnership with Illinois Center for Adoption and Permanency, Let It Be Us, Pride Action Tank, and Windy City Times media to host a foster parent recruitment seminar July 9, 2016 at University of Illinois at Chicago. It is estimated that there are 25,000 homeless youth in Illinois. And of that number, approximately 32 percent – 40 percent are homeless because they identify as LGBTQ. The free event titled “Call to Action – Foster and Adopt Our Children” has the specific goal of finding foster and adoptive families within Chicago’s LGBTQ community. It is open to all (single, divorced, married, Civil Union) interested in becoming a foster parent. 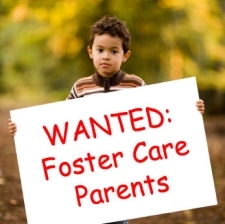 The event will be held at UIC at Chicago Student Center, at 750 S. Halsted Street from 10:00 a.m.to 1:00 p.m. Foster Parent candidates must be at least 21 years old. Reservations are highly encouraged. For more information and to RSVP, visit www.letitbeus.org/events. Other Participating social service agencies include Aunt Martha’s, ChildServ, Hephzibah, Kaleidoscope, Lakeside Community Committee, Lawrence Hall Youth Services, Lutheran Social Services of Illinois, Little City, National Youth Advocate Program and SOS Children’s Villages.